UPS Worldport in Louisville, Kentucky is the largest fully automated package handling facility in the world. Within Worldport, 70 aircraft docks, and 155 miles of conveyor belts move and sort packages. From 1999 to 2010, UPS invested $1 billion to expand the facility. The first phase doubled the size of the hub and increased capacity by almost 50%. Square footage grew from two million square feet to four million. In the next phase, capacity and square footage was again increased with the facility growing to 5.2 million square feet – the equivalent of 90 football fields – and a processing capacity of 416,000 packages per hour! What enables this astounding capacity is the 155 miles of conveyor belts in the huge facility. 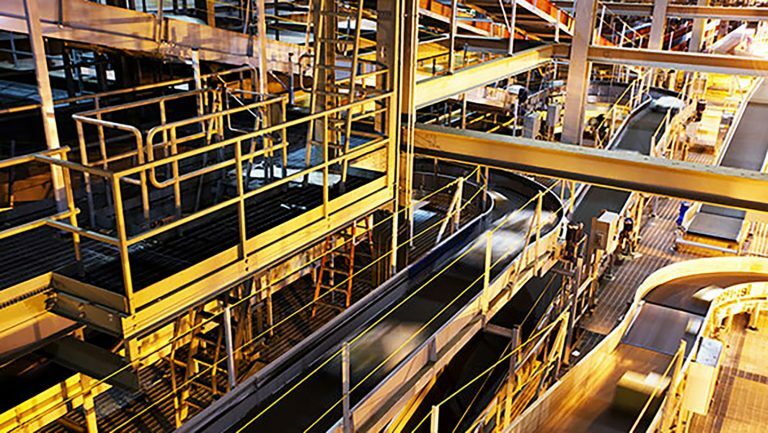 Vanderlande Industries Inc. selected Motor City Electric Co. to provide electrical and network Installation for ten sorter connecting line conveyors in the Worldport facility. The work included installation of motor control panels, 335 VFD panels, field control stations, photo-eyes, cable trays, conduit, tray cable, and fiber optic cables, as well as integration into the existing conveyor system. To complete the $1.6 million project in a seven-month timeframe, MCE partnered with Henderson Services, LLC, a local contractor, for the field labor and supervision. MCE also utilized B & S Electric Supply, a certified minority enterprise, to perform approximately 20% of the work. 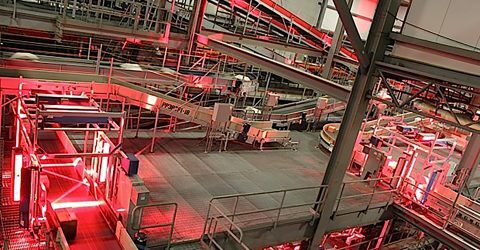 High-speed conveyors and “smart labels” read by overhead cameras. 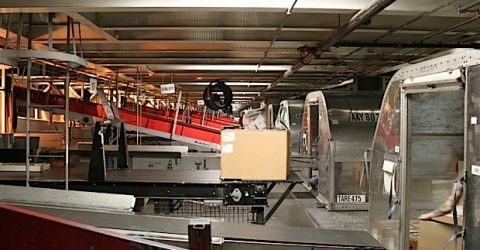 Automated equipment and overall process improvements minimize employee time handling packages while reducing the average package sorting cycle. Complex IT systems to rapidly transmit Customs information for international shipments. Specially designed docks and hub floors let workers move package containers easily from throughout the facility via more than 1.2 million casters and ball transfer units. Two new aircraft load/unload “wings” and associated aircraft staging ramps.